It is that time of year again, that is Christmas cookie time. I enjoy making cookies for my family at this time of the year; it is a tradition that has been passed down from generation to generations. As a kid, cutout sugar cookies were the big hit in my house. We would bake these cookies for hours and hours and then we would frost and sugar for hours and hours. The cutout cookies were never a favorite with my kids, which I find it a bit strange; I thought everyone loved these cookies. I usually make the same cookies year after year, but every once in a while I like to sneak in a new cookie. That is what I did this week. I thought it would be fun to make something totally different, something that I would have never thought of making before. I like the combination of chocolate and mint; I think that it goes well with the holiday season. I found several recipes for this type of cookie and what I ended up doing was combining several recipes to come up with one. 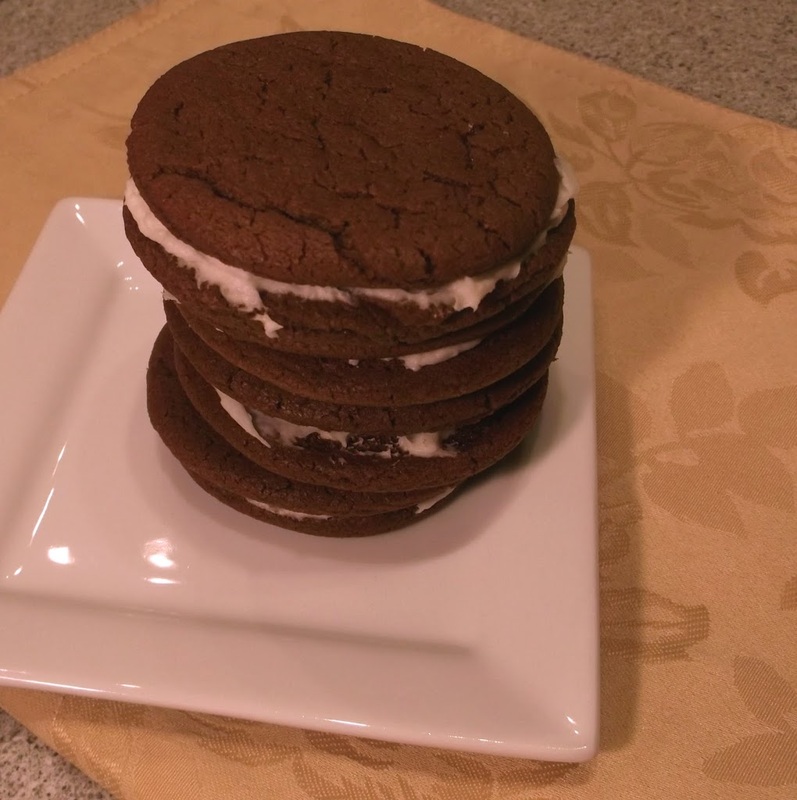 I made this chocolate wafer cookie and made a nice mint filling to make a yummy sandwich cookie. 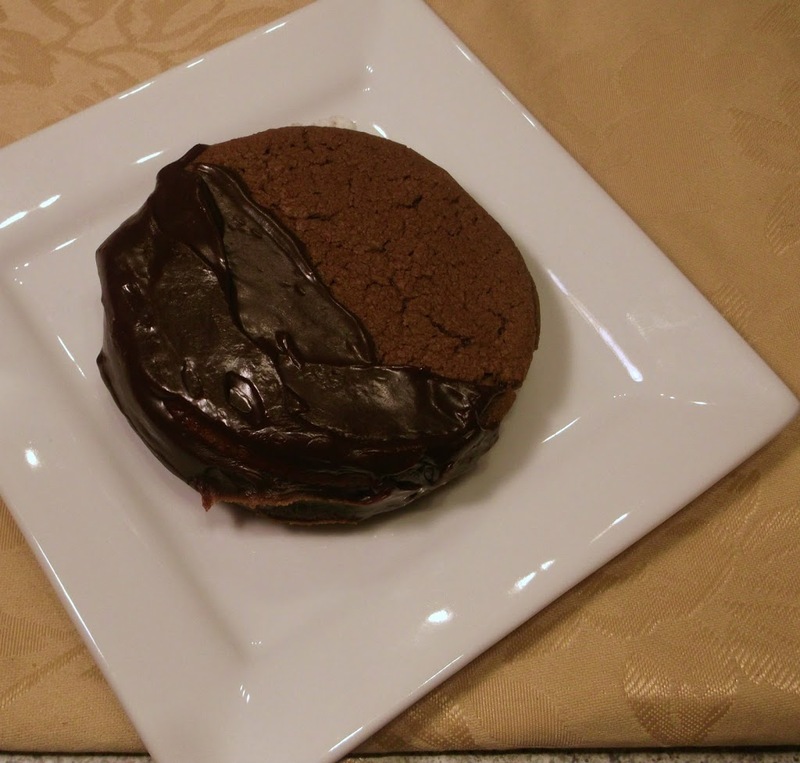 The cookies were thin and crisp and the mint filling went very nicely with the chocolate flavoring of the cookie. For the chocolate lovers the cookies can be dipped in melted chocolate, for a little extra chocolaty flavor. No matter if the cookies are dipped in chocolate or not I am sure it will be a family pleasing cookie. In a large bowl beat butter and sugars with an electric mixer until well blended. Add the egg and blend well. Take melted chocolate add to this mixture and mix well and add the vanilla and blend. In another small bowl sift the dry ingredients together and add to the chocolate mixture, mix until all ingredients are incorporated. Divide the dough into two balls and roll the dough between to pieces of wax paper or parchment paper until about an 1/8 inch to 1/4 inch thickness. Place in refrigerator until the dough is firm about 15 to 20 minutes. Cut the rolled dough into rounds using a cookie cutter or I used a small glass since I didn’t have a small enough cookie cutter. Place the cookies on a lightly greased cookie sheet and bake in a 350 degree F oven for about 8 to 10 minutes. The cookies will look firm and set when they are done. Gather the scraps and roll again to cutout more cookies, you can continue this until all the dough is used. Set on cooling rack until completely cooled and fill with mint cream filling or your favorite filling. Cookies can be dipped in melt chocolate for an additional chocolate experience. Add all ingredients to a medium bowl and mix with an electric mixer until light and fluffy. Now those are fantastic looking cookies! Super cookie. I really like mint, and it combines so well with chocolate. I’ll bet these have wonderful flavor. And they’re perfect for Christmas! Good stuff – thanks. it’s always nice to see people’s christmas postings coz i get to see so many new cookie recipes. 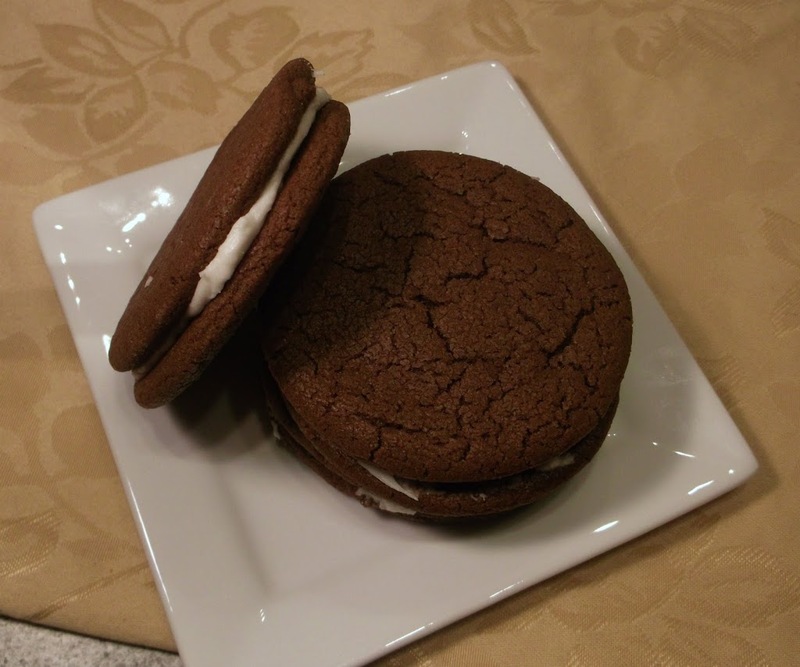 that minty filling paired with the chocolate wafers must make a delicious combo!